What is truly appealing about hiking up to the peak is the panoramic view of the landscape. 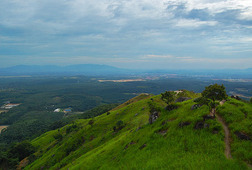 The view from the top of Broga Hill offers one of the best sights from such a low hill. Lush valleys of green rainforest and a few towns can be seen vibrantly on a clear day, with the backdrop of several mountains in the far distance. During the mornings, mist rising from the ground from the warmth of the sun envelop the landscape in a carpet of white, providing a surreal atmosphere. 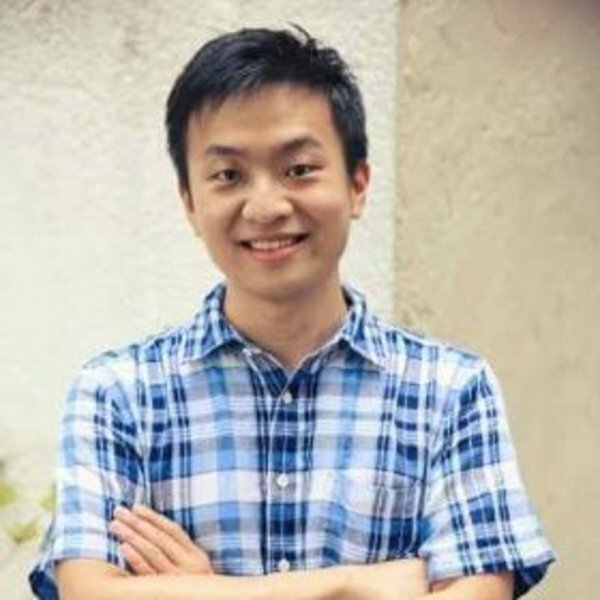 Pick up from hotel within Kuala Lumpur or Klang Valley at 5am. We will reach the foothill by 6am and begin hiking. The hike itself is relatively easy, taking between 20-45 minutes to reach the highest peak depending on how fit you are. There are a few steep ascents, but nothing to hard to conquer. It was an enjoyable experience. Cheech was very friendly and we managed to reach the peak with time to spare, we were just laying there to admire the stars. Cheech was also very nice to bring us to a local haunt for very delicious breakfast after the hike. Highly recommended. Hike at Broga hill was tougher than what my wife and I have imagined. But nevertheless Cheech's patient and not pushy persona help a lot along the way. No hike will be made complete without sweat and sore muscle, but the magnificent view from hill top made it all better. In all a memorable morning that I'll be glad to do again and again. Cheech made this hike an enjoyable experience! Despite the changes to the track, which he was unaware of, he was experienced to lead us to the top still. He was also a very patient and encouraging guide, who pulled no stops to assist my friend who is terrified of heights to ensure she also managed to reach the top and get down safely. Additionally, he brought us to a local haunt for breakfast after the hike, which I felt was something nice. 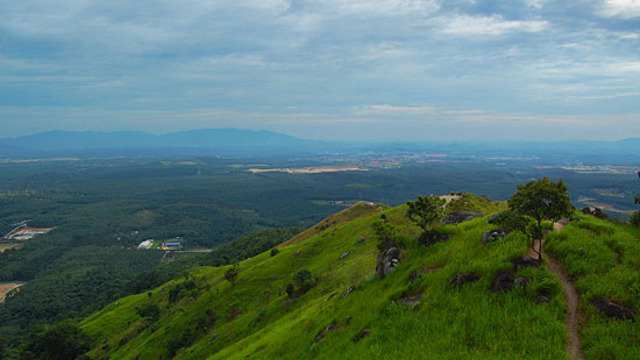 However, he could have included more fun facts about Broga hill while hiking up. Overall, we recommend this hike to everyone who loves a good view and a great excerise. Receive special offers, VIP invites and exclusive updates for Semenyih.